Bonus: You will not be charged while discussing the details with Project Manager and while your project is awaiting in a queue to Production Dept. Additional hours can be purchased for $20/hour. Single Site License for the extension grants you a non-exclusive permission to use the extension on a single domain/project. JetEngine is a must have plugin for Elementor allowing to create custom post types, custom taxonomy, add Elementor-built templates for the custom post type or taxonomy terms. 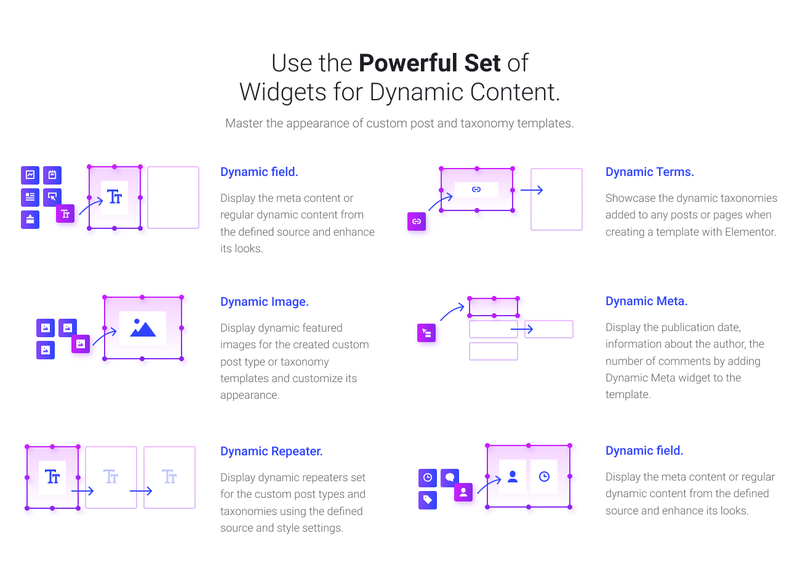 It provides the set of dynamic listing widgets for displaying dynamic content and allows to build grid and listing layouts for the custom posts and terms using the most complex query methods. I got this on a Black Friday deal just to try out and have been very pleasantly surprised, the instructions could be improved, but it&#039;s potentially a really powerful addition. Well worth the full price. This template is working perfectly for me. I can customize my pages with dynamic content and also to use relation fields between custom post types. i really enjoy the listing grid where we can set up a specific style for our listings and then display them according to the query we want, by using macros for example and get the id of current post, the category, the taxonomy, etc... For Jet Smart Filters, the only weakness for me is that for the checkbox or rangebox filter, we can&#039;t display it horizontally but only vertically. That&#039;s a bit shame. A plugin that you must have if you want to manipulate posts, and advanced custom fields ? 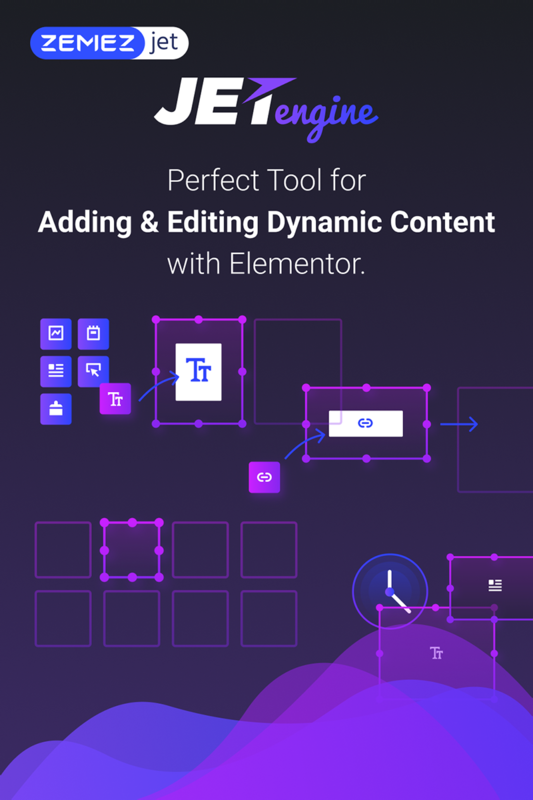 Jet Engin is a fabulous plugin if you use Elementor deeply! !